On 11 April 2019, the Defense Minister of Sudan, Ahmed Awad Ibn Auf, announced that the President Omar al-Bashir had been removed from office and was under house arrest along with a few members of his inner circle. General Ibn Auf proposed that a transitional body of military and technicians lead the country for a two-year period after which elections for president would be held. Some have called the events “a recycled coup”. Peace Journalism has two primary tasks: to make creative proposals for the settlement of conflicts and to work for broad inclusion of parties for negotiations held in good faith. Thus Peace Journalists need to work so that all voices can be heard. Inclusiveness may not make negotiations easier. 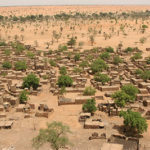 The degree of poor administration and the disintegration of the State of Mali became apparent in March 2012 when there were revolts led by the Twareg in northern Mali. The creation of a new state, Azawed, to be led by ethnic Twareg was proclaimed. World law, as world citizens use the term, is more than current international law. World law has as its base universally recognized international law but also the human rights declarations and standards, the oft-repeated declarations of the United Nations General Assembly as well as the international legal bodies such as the World Court and the International Criminal Court (ICC). I think that it is important for us to look at why organizations that promote nonviolent action and conflict resolution in the US and Western Europe were not able to do more to aid those in Syria who tried to use nonviolence during the first months of 2011. 8 March is the International Day of Women and thus a time to highlight the specific role of women in local, national and world society. International Women’s Day was first proposed by Clara Zetlin (1857-1933) at the Second International Conference of Socialist Women in Copenhagen in 1911. Later, she served as a socialist-communist member of the German Parliament during the Wiemar Republic which existed from 1920 to 1933 when Hitler came to power. Zetlin went into exile in the Soviet Union shortly after Hitler came to power. She died there several months later in 1933. René Dumont highlighted the importance of small-scale peasant farmers in the world’s food production. Despite massive displacement of the peasantry toward cities, more than 70 percent of the world’s food is produced by small family-owned farms. René Dumont was an active world citizen and always stressed world citizenship in his justification for his studies of agriculture worldwide. The Art of the Deal, part biography, part business advice, received wide readership and drew attention to Donald Trump beyond the New York milieu in which he worked. 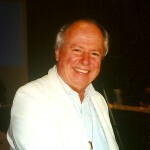 The book was largely written by his ghostwriter, journalist Tony Schwartz. In this spirit, here is a ghostwritten presentation of what Donald Trump should say in his next meeting with Kim Jong-Un which should also be held in Hanoi so that Kim can take a train. 25 Feb 2019 – When the drums of war start beating, can cooler heads prevail and negotiations in good faith start? Vijay Mehta has written a useful overview of efforts to create a Department of Peace within governments so that there would be an institutionalized official voice proposing other avenues than war. Such proposals are not new. “This is a new era for the future and for prosperity for all the nations” Yusuf bin Alawi, Foreign Minister of Oman, said optimistically in Warsaw at the 13-14 February 2019 Ministerial Conference to Promote a Future of Peace and Security in the Middle East. The Warsaw Conference may end up as only a “photo opportunity” and for Warsaw to be center stage for a short time, or we may work to have the Warsaw Process be the real start of a new era. On 13-14 February 2019, there is planned The Ministerial Conference to Promote a Future of Peace and Security in the Middle East called jointly by the U.S.A. and Poland. Not all “players” of the Middle East drama are invited to Warsaw. Iran and Russia as governments were not invited. Non-State actors such as the Palestinians, the Kurds, the Islamic State and a host of armed militias – all of whom play a current role – will be officially absent. 20 Jan 2019 – After two months of protests, discussions, and some physical violence beginning on 17 November 2018, the French President Emmanuel Macron has tried to organize a national dialogue from 15 January 2019 to 15 March. It is a difficult task as French political culture is one in which people easily talk but rarely listen. 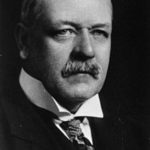 Stringfellow Barr was a historian of the classic Greek and Roman period and an active world citizen. 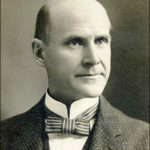 He served as president of the Foundation for World Government from 1948 to 1958 and of St. John’s College in Annapolis. The aim of St. John’s under Stringfellow was to turn out well-read liberals who would have studied a common set of “Great Books” starting with the Greeks such as Plato. 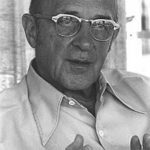 Carl Ransom Rogers was a US psychologist and educator and a leading figure of what is often called “the third wave of psychology.” The first wave was Freud and Jung and their views of psychoanalysis. The second wave was the behaviorists symbolized by B.F. Skinner. The third wave, often called “humanist”, has Abraham Maslow, Rollo May, and Carl Rogers as its best known figures. Thomas Woodrow Wilson was born 28 December 1856 in Virginia. His father was his first teacher of writing style. “When you frame a sentence, shoot with a single bullet and hit that one thing alone”. 14 Dec 2018 – Two useful steps were taken on the long road toward relative peaceful governance in Yemen. The first need of the country is an end the Saudi-led aggression and the civil war conditions. 9 December was the 70th anniversary of the 1948 Genocide Convention written in light of the events of WWII; the prevention of Genocide has become a world norm. 10 December is the 70th anniversary of the proclamation of the Universal Declaration of Human Rights, which has also become a world norm. However, we know that many human rights norms are not being reached and in some cases are deliberately violated. Thus, our task today is to reflect on avenues of action. 30 Nov 2018 – The tensions arise from fears rather than from structures. Russia fears that Ukraine will join NATO. Ukraine fears that its economy will be deeply harmed by Russian economic measures such as making it difficult for cargo ships to use Mariupol port. The times call for creative proposals and open discussions. On 11 November, while French President Emmanuel Macron was warning the assembled heads of government in Paris on the dangers of the narrow nationalism which had led to the 1914-1918 war, people in the Donetsk and Luhansk People’s Republics of eastern Ukraine were voting in an effort to strengthen narrow nationalism. Since 2014, the eastern, largely Russian-speaking populations of eastern Ukraine have created two republics: Donetsk and Luhansk. 12 Nov 2018 – The continuing violence, refugee flows, internally displaced persons and the lack of government services is a good reminder of the difficulties of creating a functioning State with a top-down approach, especially one that begins by training a national army before there is a State to protect. 1 Nov 2018 – On 29 October 2018, the Supreme Court of Pakistan reversed the decision of lower courts sentencing to death Asia Bibi, a Christian mother of four for blasphemy. After 3,422 days of imprisonment in solitary confinement, the Supreme Court reversed a 2010 lower court verdict. Asia Bibi is now in seclusion and will probably leave the country as some 60 persons in Pakistan have been murdered since 1990, accused of blasphemy. Her case had drawn attention in Pakistan. With the increasingly high profile of Senator Bernie Sanders in U.S. politics, the term “Democratic Socialist” has become increasingly used. Thus, it is useful to look at the first person on the U.S. political scene to represent the term. 17 Oct 2018 – The 15-member Court published its unanimous decision on 3 Oct 2018 stating that the U.S. “must remove” sanctions that could stop food, medical supplies, humanitarian products and products needed for civil aviation. 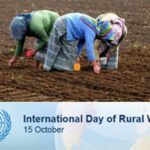 15 OCTOBER is the U.N. designated INTERNATIONAL DAY OF RURAL WOMEN. It is a day in which to highlight the need to increase food production, especially in those countries that face a persistent food deficit. There is a need to increase production, create better storage methods to prevent post-harvest loss, and improve distribution methods. 22 Sep 2018 – Potentially, the people of northeast India are sitting atop of a smoldering volcano to erupt into catastrophic suffering. The violence would target Bengali-speaking Muslims on the pattern of the Rohingya of Myanmar (Burma). Preventive diplomacy is not restricted to the UN or national government officials. Non-governmental organizations, academic institutions and the media can all play a role. 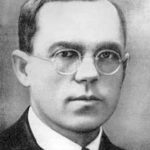 17 September marks the execution of Nikolai Kondratiev (also written as Kondratieff) in 1938 as part of Stalin’s “Great Purge” of those who disagreed with him. 10 Sep 2018 – World Citizen Diplomacy is still a new field. As with any new field, there is a process of presenting ideas, of drawing upon different fields of thought, and of distilling experiences. World Citizen Diplomats must learn from government policy-making procedures but must use them creatively, with more sympathy for the people of the country being analyzed and with a broader vision of the healing of the Planet rather than the national interest focus of government policy makers. 31 Aug 2018 – Today, the choice–between an end to the armed conflict with negotiations for a renewal of a Yemeni State on the basis of the con-federal system proposed vs. continued fighting in the hope that one faction become a “winner-take-all”–is relatively clear. There is little of what can be called “civil society” in Yemen, but what little exists should have their voices heard in the negotiations. 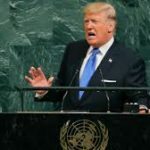 13 Aug 2018 – On the one hand, economic and trade sanctions is one of the few instruments short of war to enforce world law and to modify in a positive direction the behavior of a State. On the other hand, sanctions also can be a blunt weapon hitting the weak, sick and hungry who usually have had no or little influence on the policy being sanctioned. 3 Aug 2018 – Governments, that alone have the ability to vote UN resolutions, happily take credit for advances. Yet, progress was made by ideas coming from NGO representatives, helped by UN Secretariat civil servants who must keep a “low profile”, and the representatives of some governments where an issue touched them personally. I list 10 victories which seem to me to be real advances. As all the male members of his family, he began university at Harvard but was expelled twice, being more interested in women than in diplomas. He never received a university degree but was self-taught in design, mathematics and architecture. 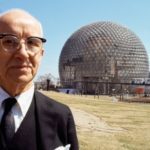 He brought all his ideas together in what he called “The Law of Progressive Order.” Today, he is best known for his geodesic domes. This TMS issue comes in the middle of three summit conferences of significance: a NATO summit held in Brussels, and two bilateral summits: US-UK and US-Russia. 29 Jun 2018 – The United Nations Security Council has been discussing the situation in both public and private meetings without any visible impact. Today, the choice between an end to the armed conflict with negotiations for a renewal of a Yemeni State on the basis of the con-federal system proposed and continued fighting in the hope that one faction become a “winner-take-all” is relatively clear. Rebellion against established structures, the quest for personal values and a religious impulse are all elements in Siddhartha, published in 1922, perhaps his most widely-read book. 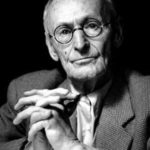 It is not clear that Hesse found the harmony of enlightenment in his own life. In his last major work The Glass Bead Game (1943) he describes what might be an ideal Buddhist monastery devoted to the discovery, preservation and dissemination of knowledge. 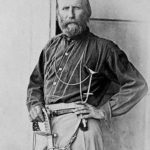 Giuseppe Garibaldi, born in Nice, now France, often called the hero of two worlds because of his efforts for independence in Latin America and then Europe, is in many ways inventor of transnational democratic politics. Track I is official government to government diplomacy among instructed representative of the State. Track II is a non-official effort, usually by a non-governmental organization or an academic institution. Track II talks are discussions held by non-officials of conflicting parties in an attempt to clarify outstanding disputes and to explore the options for resolving them in settings that are less public or less sensitive than those associated with official negotiations. Saint Ex for the style was influenced by Frederic Nietzche’s Thus Spoke Zarathustra which he had read. However, the spirit is much closer to Khalil Gibran’s The Prophet. There is no indication that he had read Gibran in Saint Ex’s period in New York. It is more likely that both writers shared a common outlook on life. Such a Peace Treaty Conference should not be limited to government representatives. A Korean peace conference is one in which the voices of civil society are legitimate and should be heard. 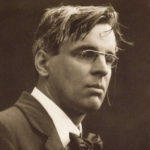 William Butler Yeats, the Irish poet, and his close colleague George Russell, who published under the name of AE, are the modern European poets most conscious of the transition within astrological cycles from the Piscean Period to the Age of Aquarius. In 1933 James Hilton, a British novelist published Lost Horizons. In the novel, he set the scene in a lost valley on the frontier of Tibet, hidden away from the world where everyone was happy and never grew old. He gave the name Shangri-La to this valley. Shangri-La was a slight transformation of the more often-used name Shambhala of the Tibetan Buddhists and those in India and China who are in contact with Tibetan traditions. 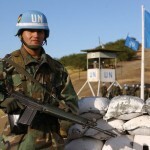 UN Peacekeeping: Are There Other Avenues for Armed Conflict Resolution? 29 May 2018 is the 70th anniversary of UN peacekeeping. Today, some 100,000 UN peacekeepers are deployed in 14 peacekeeping missions. There are two major issues concerning UN peacekeeping forces. 18 May 2018 – There are two major issues today that the League of Nations did not have to face. Thus when the League was reincarnated in 1945 as the United Nations, no one considered how to structure appropriate responses. The major political issue today is the disintegration of Member States. The second major issue is the ecological and social consequences of global warming. 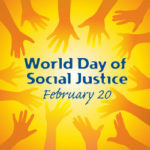 In December 2002, the UN General Assembly declared that 21 May each year should be the World Day for Cultural Diversity, for Dialogue and Development. The Day was created as a response to the destruction of the Buddha statues of Bamiyam in Afghanistan in 2001. NGOs active in conflict resolution and tension reduction efforts must build upon this new momentum to help deepening the positive atmosphere. A new “window of opportunity” has opened, and we must see how to move forward creatively. There are times when there are links among otherwise separate events and concerns. We need to take advantage of this convergence and work so that our voices are heard ever more clearly. 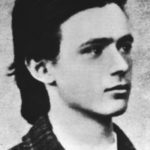 For Teilhard, love was not an emotion or a sentiment but the basic primal and universal psychic energy. This is a concept drawn from Chinese culture. Teilhard lived in China from 1923 to 1946. The Chinese word jen, a term translated as love, benevolence or affection, is not only an emotional-moral term, but it is also a cosmic force − a compassionate quality that is the very structure of the earth. International Mother Earth Day on 22 April each year was established by the United Nations General Assembly in 2009. Its aim is to promote living in harmony with Nature and to achieve a just balance among the economic, social and environmental needs of present and future generations. 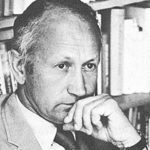 At a time when there is a growth in many parts of Europe of a narrow nationalism often linked to xenophobia and violence, it is useful to look at the life of Charles Maurrras and what he called “integral nationalism”. 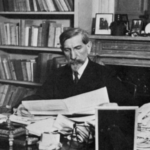 Maurras is in many ways the intellectual “godfather” of these narrow nationalist movements. 13 Apr 2018 – There is the story of a man who lived in an apartment house with very thin floors and walls. He hears the man above him going to bed and dropping one shoe on the floor. Now he cannot sleep as he is waiting for the other shoe to drop. We are somewhat in the same position waiting for a US military response to the charges that chemical weapons were used in Syria. George Warren Russell was an Irish poet, painter, mystic, and reformer of agriculture. He wrote under the initials A.E. and was a close friend and co-worker with William Butler Yeats. “Such was the play of Helen which made men realise that beauty was a divinity. Such was the play of Radha and Krishna which taught lovers how to evoke god and goddess in each other.” –A.E. 2 Apr 2018 – The Multilateral nuclear accord with Iran, the Joint Comprehension Plan of Action, needs strong, active support especially within the US administration. The accord was negotiated among Iran and the United States, Britain, France, Germany, Russia, China and coordinated by the European Union. The Accord was endorsed by the unanimous vote of the United Nations Security Council and went into force in 2016. Views on the importance of the continuing validity of the Accord should be shared widely among political representatives and foreign policy specialists. 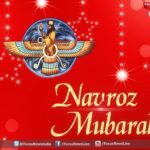 Navroz, usually celebrated on 21 March in Iran and Central Asia, is the “New Day”, the end of the old year with its hardships and deceptions and the start of the New Year to be filled with hope and optimism. Navroz was marked this year in the Syrian Kurdish area of Afrim by the arrival of Turkish troops and their Syrian allies. 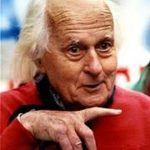 Jean Giono was one of the most original French advocates of nonviolence. 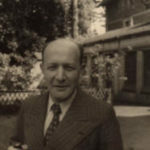 Giono, a pantheist philosopher, novelist of rural life, and in his later days, a moviemaker, had a fame in the wider public even among those who opposed his nonviolence. 8 de março, o Dia Internacional da Mulher, é um momento apropriado para se concentrar no impacto destrutivo da violência contra as mulheres. Tal violência é um ataque à sua integridade corporal e à sua dignidade. Precisamos enfatizar a universalidade desta violência, a multiplicidade de suas formas e as formas em que a violência, a discriminação contra as mulheres e o sistema de dominação mais amplo, baseado na subordinação e na desigualdade, estão inter-relacionados. 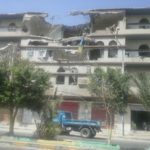 7 Mar 2018 – The UN High Commissioner for Human Rights gave a cry of alarm of dangerous and worsening armed conflicts in which violations of human rights were an important factor. Along with Syria, Yemen, Myanmar, he cited the continued violence in the Kasai of the eastern Congo and the re-ignited armed conflict in the Ituri area, also in eastern RDC near Lake Albert, facing Uganda. For Steiner karma – the fact that every action – and thought is an action – produces an impact and will have consequences. However, without training and close observation one does not see karma working. To see karma in operation requires an insight into the working of subtle energies. He outlines his views in his basic book: Knowledge of Higher Worlds. How is it attained? In order to show the unity of the American people, Republicans and Democrats, once the US had entered WW II, President Roosevelt asked Willkie to go on a “good will mission” to the Middle and Far East with a stop-over in the USSR to see Joseph Stalin. The result of the trip – a short one by today’s round-the-world standards – was the book One World. 8 Feb 2018 – There is a need for a coming together of NGOs that are primarily focused on the resolution of armed conflicts with those groups concerned with the abolition of nuclear weapons. The current Korean tensions are based on the development of nuclear weapons and missile systems and the pressures and threats to prevent their development. The Olympic Truce period should be taken as an opportunity to advance “Track II” efforts. On the anniversary of the assassination of Mahatma Gandhi, 30 January, we still try to find ways to resolve conflicts peacefully and to deal with violent religious movements and individuals. 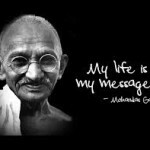 For Gandhi, the spiritual and political means were interdependent and could not be separated. Today, religious movements are often seen as promoting violence, Islam in the Middle East, Buddhism as an anti-Muslim current in Burma. 12 gennaio 2018 – Una delle più complete proposte di riforma è appena stata emanata per la trattazione all’ONU dal governo della Cina in un documento di 27 pagine. (1) Molte delle proposte sono molto simili ai suggerimenti fatti dall’Associazione dei Cittadini de Mondo. Sorokin was especially interested in the processes by which societies change cultural orientations, particularly the violent societies he knew, the USSR and the USA. As he wrote renewal “demands a complete change of contemporary mentality, a fundamental transformation of our system of values and the profoundest modification of our conduct towards other men, cultural values and the world at large. 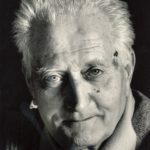 Marc was a complex man, one of the bridges who helped younger persons to understand the debates which surrounded the Russian Revolution, the rise and decline of Fascism and Nazism, and the post-Second World War hopes for a united Europe. Muriel Mirak-Weissbach in her new book Through the Wall of Fire uses a sequence from Dante’s Divine Comedy to stress the need within the wider Middle East for a fundamental revolution in thinking and a far-reaching shift in moral outlook leading from wrath to reconciliation. 6 Jan 2017 – There have been a number of periods when proposals for new or different United Nations structures were proposed and discussed. One of the most complete reform proposals has just been issued for discussion at the U.N. by the Government of China in a 27-page document. The Chinese proposals merit close attention. Most are not radically new. Today, there are some 232 million persons who reside and work outside their country of birth. The reasons for migration are diverse − most often economic, but also refugees from armed conflicts and oppression, and increasingly what are called “ecological refugees” − persons who leave their home area due to changing environmental conditions: drought, floods, rising sea levels etc. Global warming is very likely to increase the number of these ecological refugees. 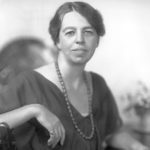 8 Dec 2017 – It was Eleanor Roosevelt who helped to craft and then championed the Universal Declaration of Human Rights whose anniversary we celebrate on 10 December. There are two aspects of Parsons’ work that merit attention. The first is his role in introducing and championing the work of the German sociologist Max Weber in the USA. The second is helping create transdisciplinarity in area studies. 30 Nov 2017 – In the case of the anti-Sufi acts, it is more difficult to find the focus since we are not dealing with a government policy or actions. There are always local causes to violence which must be taken into consideration. Often conflicts draw little attention from outside peacemakers until a certain threshold of violence is reached. The attack on the Egyptian mosque may be such a threshold. Con-federation and autonomy are broad concepts, capable of covering a multitude of visions extending from very limited local initiatives to complete control over everything other than foreign policy. Autonomy can therefore incorporate all situations between nearly total subordination to the center to nearly total independence. 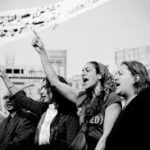 The ways in which the elements and patterns of autonomy are put together requires political imagination, far-sighted political leadership, a willingness to compromise, and constant dialogue. John Boyd Orr was a medical doctor and biologist from Scotland concerned with the impact of poverty and malnutrition on health. 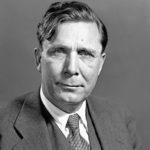 He worked on food issues with the League of Nations and during the Second World War was deeply involved in food issues in Britain, especially focused on the needs of children and youth. 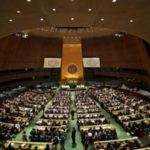 On 19 Sep 2016, the UN General Assembly held a one-day Summit on «Addressing Large Movements o Refugees and Migrants» and set a new agenda for responding to large movements of people crossing frontiers. The UN resolution is called The New York Declaration for Refugees and Migrants. There needs to be strong cooperation among the UN and its Agencies, national governments, and NGOs to deal more adequately with current challenges and to plan for the future. For de Rougemont, revolutionaries attempting to seize power, even from the most repressive regimes, invariably fall into the power structures they hoped to eliminate. Only the power we have over ourselves is synonymous with freedom. For the first time, the person has not only the need but also the power and ability to choose his future. Edward Carpenter was an English writer, educator, pacifist, and socialist reformer who came from a middle class intellectual family. As others influenced by the Theosophical Society, he gave up formal university extension work and bought a farm which became a meeting place for discussions among many in the area − an early “back to the land movement”. He stressed using hand-made clothes, the non-killing and non-eating of animals, and the use of herbs for health. We thank the U.N. Missions of the US, France and the UK for reminding us that there are security challenges. We disagree that these challenges require deterrence with nuclear weapons. Rather, we think that confidence-building measures linked to creative negotiations is the best step forward. 4 Aug 2017 – The media reports on the recent death of Liu Xiaobo, Nobel Peace Prize Laureate, of cancer after years of imprisonment, have focused on his life, especially the prison years and the continued surveillance of his wife, the poet Liu Xia. 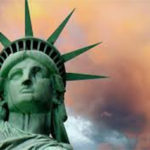 In practice, it is difficult for a person who is considered as “stateless” or a citizen of a Non-Member State to be able to use the human rights procedures put into place by the United Nations, especially what are considered complaint procedures. Dag Hammarskjold became Secretary-General of the UN at a moment of crisis in the 1950-1953 war in Korea and died in a plane crash in 1961 on a mission dealing with the war in the Congo. He became an expert crisis manager, to the point that there was a common slogan in the UN- “Leave it to Dag”. He liked to work alone but had created a team of people working under him who were highly competent and totally devoted to him. Woodrow Wilson Guthrie was an American folksinger who had a creative influence on at least three generations of folksingers, such as those of his own generation, Pete Seeger and Ramblin’ Jack Elliot, the next generation Bob Dylan, Joan Baez and his son Arlo Guthrie and a more recent generation’s Bruce Springsteen. As world-wide climate change has made the issues of land use, water, desertification, and land reform vital issues, it is useful to recall the contributions of Rexford Tugwell, an economist and advocate of government planning… When as a graduate student at the University of Chicago, I met Tugwell; he had largely left the field of economic planning to write about political leadership, especially the style and experiences of Franklin Roosevelt. Pearl Buck was a cultural bridge-builder, bringing an understanding of Chinese rural culture to the USA and Europe, but also to Chinese urban society as at different times her books, translated into Chinese, were widely read in China. In the 1950s-1960s she was active in helping children in South Korea fathered by US soldiers and then left behind. The battle for Raqqa, a symbolic city for the Islamic State (ISIS) in Syria, is underway with ever-increasing dangers to civilian populations caught in the cross-fire of ISIS and the advancing Kurd-led Syrian Democratic Forces, supported by air strikes of the US-led coalition. 12 June is a red letter day on the UN agenda of events as the World Day Against Child Labour. Child labour is often related to conditions of extreme poverty and to sectors of the society where both adults and children are marginalized such as many tribal societies in Asia, or the Roma in Europe or migrant workers in general. The election on 9 May 2017 of Moon Jae-in as president of the Republic of Korea may have applied the brakes to a dangerous increase in tensions between the two Korean States, the USA, China, Japan, and Russia. 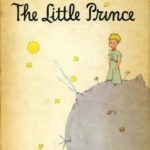 As with all myths, the story can be read at different levels. However, Frank Baum had a strong interest in Asian thought, and a spiritual reading of the myth is not adding something that was not consciously there. While tensions in the past have been managed by diplomatic discussions or changes in policy, there are always dangers that conflict management may fail due to miscalculations, misinterpretations of military moves, misinterpretations of aims and strategies. The misinterpretations and the failures of conflict management were important factors in the start of the Korean War in 1950 as well as the intervention of Chinese “volunteer” troops. We, who are part of structured (more or less) organizations for the resolution of armed conflicts, need to seek ways to meet on-going challenges, to build cooperation among groups and to reach out to the “unorganized”. The book, the first of a new peace publishing house headed by Jørgen Johansen, also of The War Resisters’ leadership, merits close reading and especially discussion of strategies. In a message to the UN Secretary-General, as President of the Association of World Citizens, I stressed that a crisis can also be an opportunity for strong initiatives and action. Citizens of the World call for speedy and creative action to meet the challenge of growing Korean tensions with a response of cooperation and reconciliation.